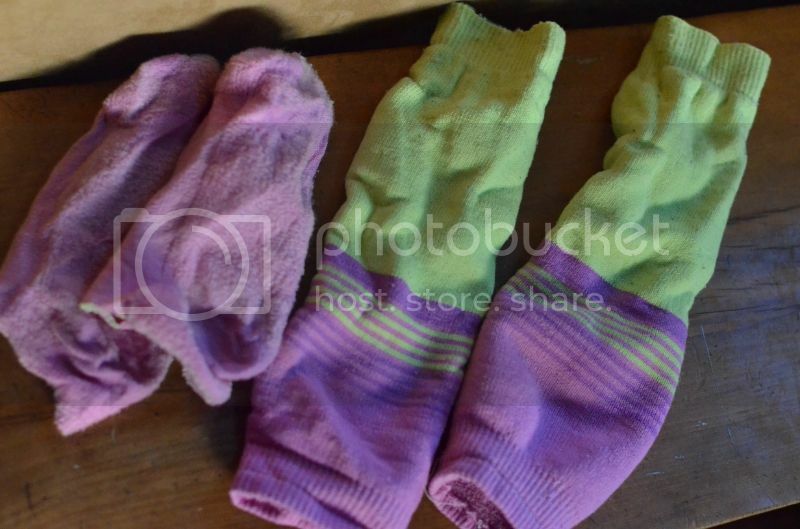 From My Hearth to Yours: Old Socks. New Tricks. Feeling the urge for some spring cleaning last week, I went through all of my clothes to toss and donate anything that hasn't been in the main rotation lately. When I hit the sock drawer, I was sad to discover that my favorite, fun knee socks had just about had it. The heels were wearing thin and they'd just about met their end...until I had an idea! Grabbing a pair of scissors, I simply sliced off the bottoms of these old socks, separating the foot from the calf portion of the fabric. Voila! I am now using the foot portions as hand dusters around the house and turned the calf portions into funky leg warmers for my daughter when she goes to her dance class! 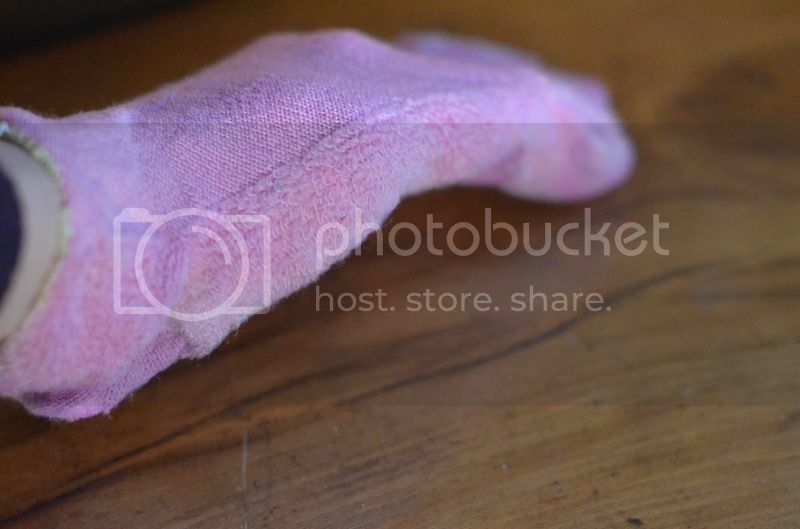 Place your hand inside an old sock bottom to create a wonderful duster! Such a simple way to repurpose those oldies but goodies! Trying on new leg warmers immediately after I "made the cut" to transform them. 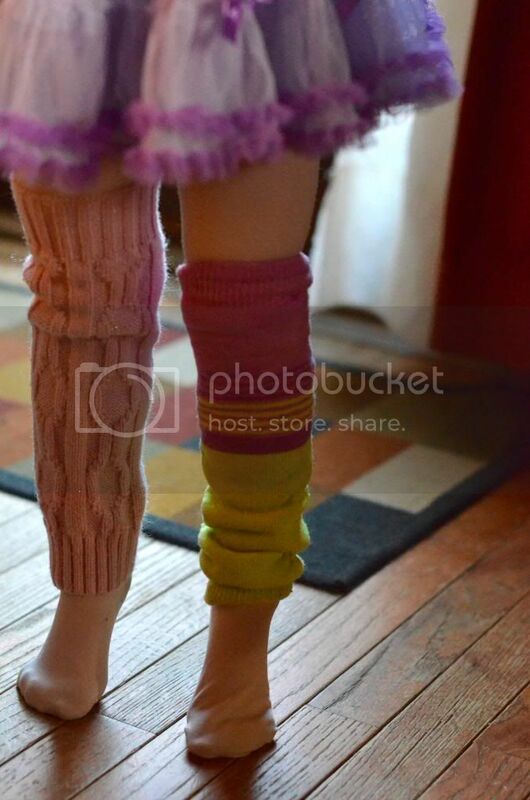 Now our lil' ballerina has another unique option to keep her legs nice and toasty when she's heading out to her studio! Leg warmers- in full action! 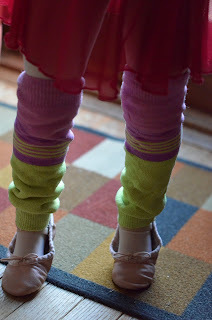 New leg warmers and dusters with NO sewing and NO problem! If you have a pair of fun knee socks that have hit their limit for you, do a little separating and give them another run! What materials do you reuse around the house? Tell us about it!